Question – how to teach the crew the technique to keep a long stroke? At a stroke rate of 20 each stroke takes around 3 seconds to complete the power phase and the recovery phase. 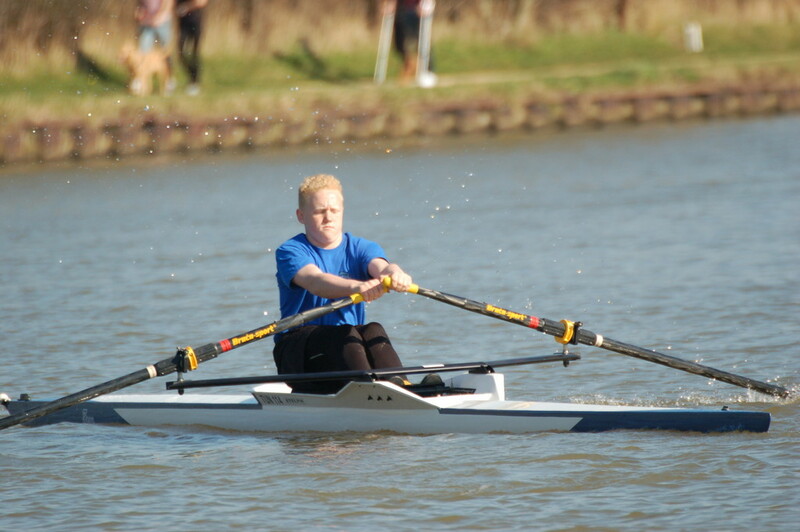 Since water cannot be compressed by a rowing oar, the amount of time the oar is in the water is approximately the same at stroke rate 20 as at 30 and this is around 0.7 seconds. Therefore the amount of time needed on the recovery phase at a stroke rate of 20 is 2.3 seconds. Recognise how long you spend on the recovery compared to the power phase. Do this while rowing at half pressure. Use all the length of the slide on the recovery. On each recovery you need to roll forward on the seat to go to full compression at the catch. The way to check full compression is that your shins are vertical at the catch. Check your foot stretcher adjustment so they can achieve this position. Why do you shorten up? While rowing you may shorten up while focusing & thinking on the steering and this can make the whole crew shorten up as they follow. The whole crew must remain long regardless of external influences (in this case steering). Everyone works individually and together to keep the rhythm and ratio going. Key here is to ensure that stroke notices they have shortened up and works to lengthen their stroke after completing the steering. Build up the crew from one person rowing to full crew. 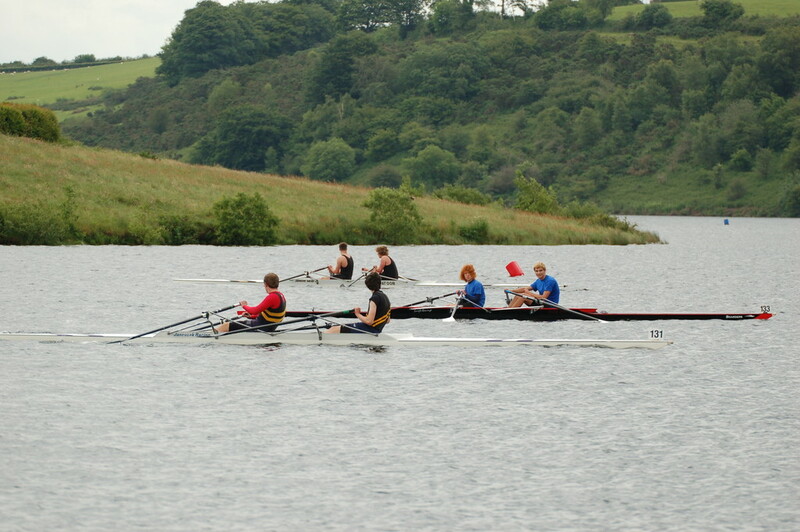 So the first athlete (stroke or stern pair in sweep) begins rowing alone – keeping up an amount of pressure on the oar. Instruct them to try to keep this pressure in the water as a second and third person joins in. Start from stroke joining in towards the bow and then do the reverse starting from bow. Get the crew to notice the difference in ratio as more people are rowing – you should have a bigger ratio with more athletes rowing as long as the rating hasn’t gone up because the boat moves faster with more rowers. To counteract the tendency to rate higher when everyone is rowing get the crew to exaggerate the ratio change i.e. make the oar move faster through the water and the athlete move slower up the slide. Up one point in rating in the water and down two points in rating on the slide is an easy call to make. Repetition is essential. Your crew won’t learn this in one go – do it multiple times through the outing. And do it again in subsequent outings. So call the improved ratio as often as you see the focus slip away from the crew.